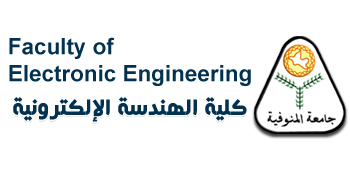 Affiliation: Department of Electronics and electrical Communications, Faculty of Electronic Engineering, Menoufia University, Egypt. BSc. in Electrical Communications, Faculty of Electronic Engineering, Menoufia University, May 1998. MSc. in Electrical Communications “Adaptive Multi-Channel Image Restoration”, Faculty of Electronic Engineering, Menoufia University, 2001. Signal Processing: (Spectral Estimation, Wavelet Processing, Signal Separation, and Speech Processing).